You only have one chance to make an excellent first impression on a potential home buyer. Unfortunately, you don’t always have a lot of advance notice when someone is coming to look at your house. However, there are 5 quick things you can do to get your home ready for showings. When a potential buyer walks into your home, you want her to be able to picture herself living there. If your dog’s toys are strewn all over your living room floor and she doesn’t even own a dog, this can make it almost impossible for her to picture it as home. Grab a laundry basket or big trash bag and gather up any loose items that are extremely personal or could be seen as clutter. You can place this in an out of the way spot and go back to it after the showing. One of the most important things on most people’s must-have list for a new home is a beautiful kitchen. 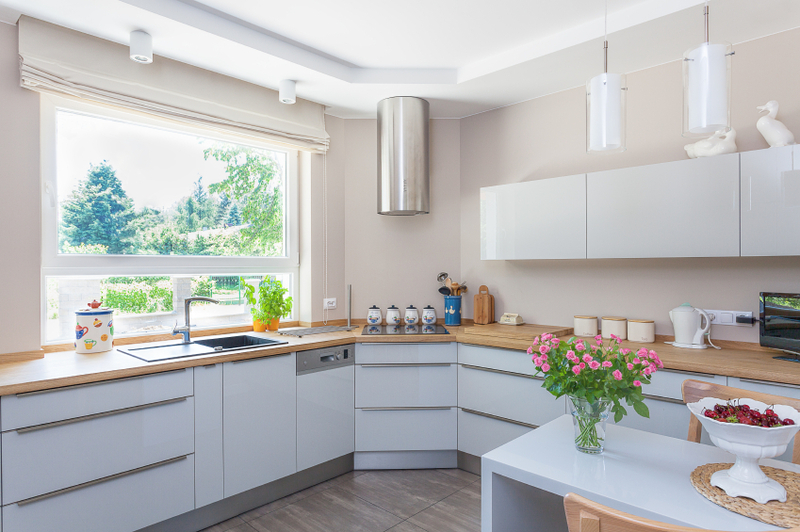 Take the time to spray down counter tops so they shine, wipe away any stray fingerprints on the fridge or appliance faces, and shine up the sink. Out of the 5 quick things you can do to get your home ready for showings, this is one of the most important. Nothing says lived in like stray toothpaste on the bathroom mirror. No one wants to see that, least of all a potential buyer. Take the time to wipe down glass doors, windows and mirrors that are front and center and might have fingerprints or goo. While you might not have time to do a deep clean, you can quickly run the vacuum in high traffic areas. This does two things. First, it picks up any stray debris and makes your home look cleaner. Second, it removes footprints in the carpet and makes the house look showroom ready. Finally, you’ll want to make your house smell fresh and inviting. However, many people are sensitive to fragrances and sometimes they just don’t like the same scent that you do. Before an open house, real estate agents will sometimes bake cookies to create a fresh, homey scent throughout the house. You may not have time to bake cookies and burning a candle turns some potential buyers off, because they think you’re trying to hide something. However, you can simmer orange slices and a bit of cinnamon and nutmeg while you’re doing the light cleaning listed above to create a nice scent. Just remember to turn the burner off and get rid of the dirty cookware before you leave the house. If you do these 5 things, your showing will go better than if you simply leave the house as is. You never know, the next showing may just be the one where you sell your home. If you’d like more tips on how to get your home ready for showing, real estate professionals Daniel and Bonnie Wan have suggestions and will guide you every step of the way.